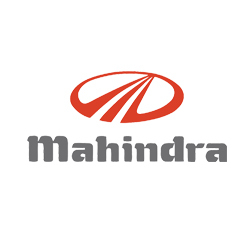 Not only is Mahindra considered India’s premier company for supplying Utility Vehicles like the Scorpio and Bolero, but they also offer rugged vehicles such as pickups, commercial vehicles and cars. It’s no surprise that Viezu offers a very wide range of Mahindra tuning and Mahindra remapping for all modern Mahindra Vehicles to get the very best out of them. Viezu has developed a range of Mahindra chip tuning and Mahindra ECU remapping services, covering virtually all Mahindra vehicles. The Mahindra tuning we provide is custom written so can be tailor made to suit your needs. Viezu’s Mahindra chip tuning will improve overall power and torque, driveability and throttle response as well as improving Mahindra fuel economy and fuel efficiency. Viezu has remaps covering both Mahindra diesel tuning and Mahindra petrol tuning too. Most of the Mahindra tuning is carried out fast and efficiently through the OBD port and a remap can be installed in as little as 45 minutes. All of the remaps and Mahindra tuning produced by Viezu can be tailored to your exact needs, be it all out Mahindra performance or Mahindra fuel economy remap offering fuel saving. All Mahindra tuning and remapping work comes with Viezu’s no quibble money back guarantee and full underwritten insurance. Mahindra Car tuning is developed in house by our team of experts on our environmentally controlled rolling road and for many thousands of miles both in simulated and real life conditions. Viezu has a selection of different tuning packages for the range of Mahindra vehicles including the Mahindra Pick-Up. Whatever your Mahindra vehicles tuning and performance requirements the Viezu team and our worldwide dealer network are here to help. Please and let us know how we can be of assistance. For more information about what we do or how we can help, don’t hesitate to get in touch using the form on the left, or email us at info@viezu.com.Alternatively, give us a call on +44 (0) 1789 774444. Also please feel free to check us out on social media using the icons below. We look forward to hearing from you.